A necklace or a pendants with a good hanging, is one of the jewelry pieces that stand out most in your outfit. Exerts an inevitable attraction in the eyes of anyone, and this is usually good. But it also can be bad if you choose the wrong necklace for your outfit… or the wrong attire for your necklace. In this article we leave some tips that will be useful for you. 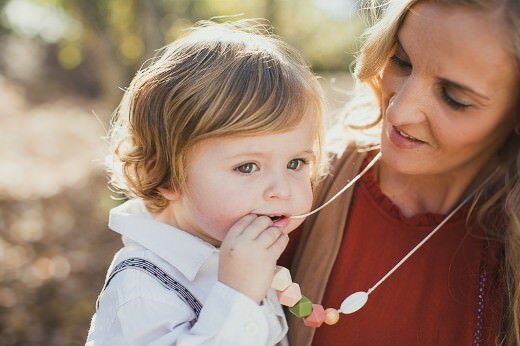 The golden rule that will help you choose your necklace is to take it, first, as a tool. Since the necklace or pendant will attract all eyes, you can use it to direct those looks wherever you wish, and keep away them from where you want to keep them away. And adapting this style to your body, you will be able to balance your image. This is of utmost importance, as you will see in the following points. Do you know what that black slims and white fattening? Or using vertical stripes for thicker people because horizontal make you look plump? As with necklaces something similar happens. According to its form or style, will help to enhance your most favorable traits, and mitigate those that are at least… or vice versa. Women with long necks, can perfectly use short necklaces or chokers. These “cut” with elegance bringing harmony and balance to your figure. A long necklace to whom you can give several laps also feels great to a slender neck. Women with shorter neck, however, does not feel too well a short necklace or pendant. To split it in half makes it visually even shorter, so what you asked this appearance is a long necklace. Combined with a good neckline will help to lengthen the neck in the eyes of others, to move the view point more towards the chest. Women with buxom can use their necklace to keep away the look of them, using necklaces or short pieces that divert attention. It is necessary to avoid the biggest and longest, and especially the pendants with form of Y, that heighten neckline. Conversely, women with small breasts who want to enhance it, will get it a long necklace, or a pendant at the height of the neckline. It is not that tall women must obligatorily use short necklaces. But short women should avoid long necklaces because these will emphasize short stature. First is your physical, which is what it is. Then comes to your outfit, which already you choose. And this will be the second filter: choose the suitable necklace or pendant according to the clothes that you wear. And more specifically of your neckline. For example, if you are not wearing neckline because you wear a high or swan neckline, your look cries out for a long necklace or pendant. For a V-neckline fits perfectly one shorter necklace, which balances your whole image. 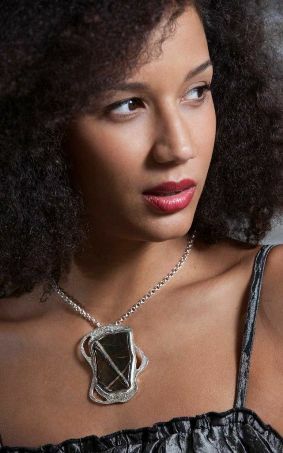 Strapless necklines, on the other hand, adapt much better to necklaces and short pendants, leaving adequate space of skin between the neck and the chest. It is a matter of proportions: height and importance of the necklace must be balanced with the amount of skin you show, and the shape of the neckline. Again, think of the pendant as a tool, and when you look in the mirror, check that your physical, your clothes and your necklace form a balanced and harmonious, based on the above. Here there are no rules depends on you and your style. The necklace, for its nature, tends to divide attention “to width”, distributed by the whole necklace or mostly: think of a pearl necklace, or a tribal with stones. With the pendant it is different. With a pendant you focus all attention on one point, the centerpiece. That’s what makes these ideal pieces for symbolism – laden messages in a custom jewelry just for you: whatever you have in front will be automatically drawn to that jewel, and you receive the message that you want to receive.